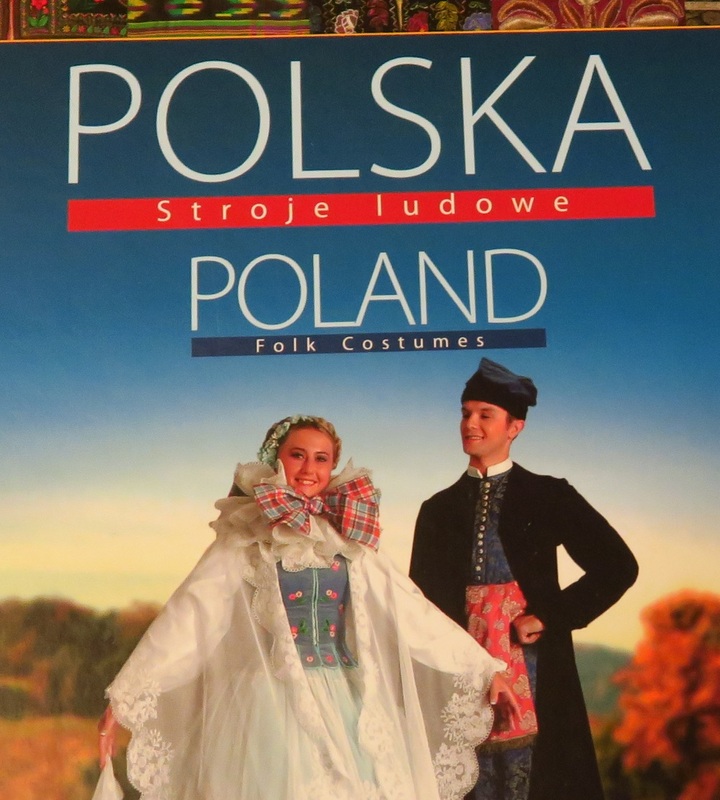 A while ago at least one person told me they would be interested in more information about Polish folk outfits. At that time, I began to think about it. I really didn't know that much about Poilsh folk outfits - except that that they have a lot of embroidery on them and definitely look "old fashioned". But I thought it would be a good topic to explore here so from time to time I will write about them here. There is no one "Polish folk costume". There are many regions in Poland, and these outfits vary by the region. The picture in the middle is the map of Poland - and the various folk outfits that were typically found all over this varied country. We'll examine them one by one. I will be learning first and then sharing with you. I am fascinated by the subject. This week I received a book I purchased that should help me immeasurably. Actually I bought two books - one book is in Polish/English - a dual language book. The other is only in Polish. Both look fantastic! If this interests you, just comment below and I'll see what I can do. I have a couple of college kids coming back to Poland for Christmas and they could get them to the states in January. Shipping from here would be too expensive. The other book I bought is about Polish embroidery and lace. It is only in Polish and unfortunately I saw only one of these for sale no matter where I looked. This is a close up look at what they use to add decoration to folk costumes. I love embroidery, so I'm looking forward to learning what I can and sharing it with you! So, onward with our Polish cultural lessons! I'll keep them short - I know that you all have lots to do each day and spending half an hour on one blog post isn't your idea of how you want to spend your time! But if you need something to help you finish up your projects - keep checking the store to see what my sis has for you!